When we first brought Oscar home, the weather was chilly and rainy. His outside trips consisted of a quick few minutes and then he was ready to go back inside. 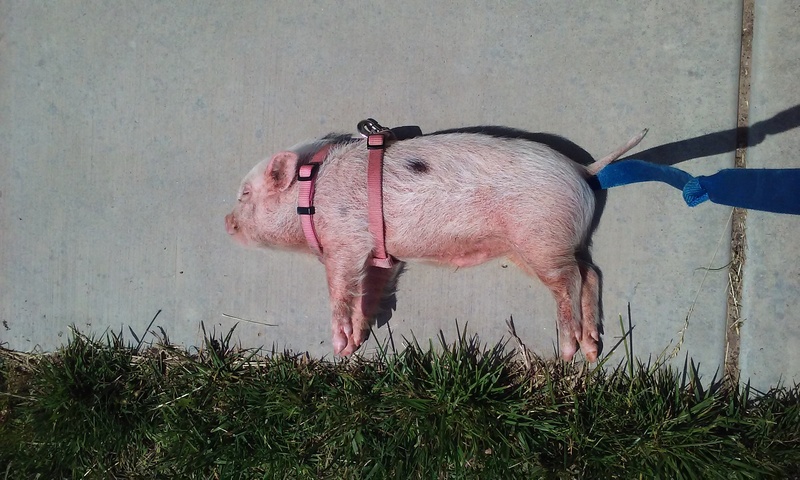 Now that the weather is warmer, I’ve learned that he loves to sunbathe! 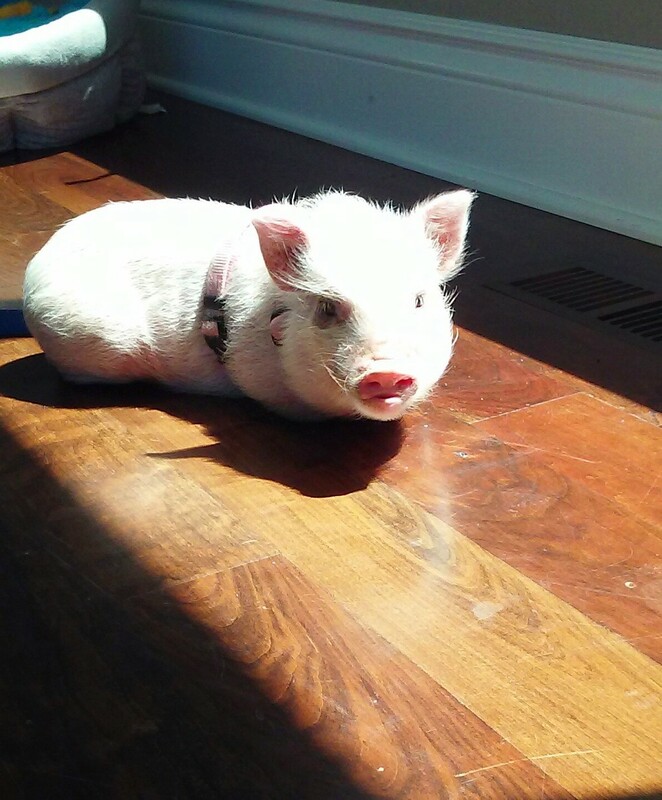 Pig can easily sun burn so I feel guilty letting him stay out for too long, but giving him a few minutes to lay in the sun just makes him so happy. When I don’t let him sunbathe outside, he just finds the indoor sun spot and uses that instead. Super cute!! We just got a mini pig this past December.